Whether rising up from fiery leaders such as Venezuela’s Hugo Chavez and Cuba’s Fidel Castro or from angry masses of Brazilian workers and Mexican peasants, anti U.S. sentiment in Latin America and the Caribbean today is arguably stronger than ever. It is also a threat to U.S. leadership in the hemisphere and the world. Where has this resentment come from? Has it arisen naturally from imperialism and globalization, from economic and social frustrations? Has it served opportunistic politicians? Does Latin America have its own style of anti Americanism? What about national variations? How does cultural anti Americanism affect politics, and vice versa? What roles have religion, literature, or cartoons played in whipping up sentiment against ‘el yanqui’? Finally, how has the United States reacted to all this? This book brings leaders in the field of U.S. Latin American relations together with the most promising young scholars to shed historical light on the present implications of hostility to the United States in Latin America and the Caribbean. In essays that carry the reader from Revolutionary Mexico to Peronist Argentina, from Panama in the nineteenth century to the West Indies’ mid century independence movement, and from Colombian drug runners to liberation theologists, the authors unearth little known campaigns of resistance and probe deeper into episodes we thought we knew well. They argue that, for well over a century, identifying the United States as the enemy has rung true to Latin Americans and has translated into compelling political strategies. Combining history with political and cultural analysis, this collection breaks the mold of traditional diplomatic history by seeing anti Americanism through the eyes of those who expressed it. It makes clear that anti Americanism, far from being a post 9/11 buzzword, is rather a real force that casts a long shadow over U.S. Latin American relations. Alan McPherson teaches history at Howard University in Washington, D.C. He is the author of Yankee No! 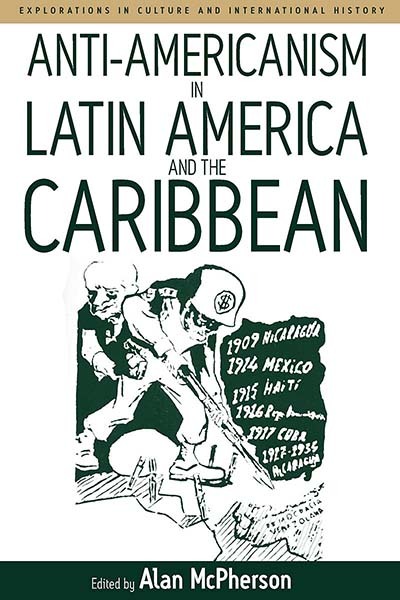 Anti Americanism in U.S. Latin American Relations (2003). He is at work on a survey of U.S. Latin American relations since 1945 and on a study of Caribbean anti U.S. movements from 1912 to 1934.